We have been custom fabricating a wide variety of products, starting from simple products for individuals, and ending with much complex objects for industry projects. We are ready to work with you to design, develop and produce high quality plastic products that will meet and exceed your expectations. We provide assistance from the initial idea, advising on selecting right materials for your project, developing complex cut patterns with the latest computer-aided design (CAD) software, machining, fabricating and finishing. Starting with a flat plastic sheet, rod or tubing, our plastic fabricators can shape plastic material into finished product. Our skilled stuff is equipped to perform complex cuts, bends, welding or gluing. In custom plastic fabrication process we use a wide range of materials such as crystal clear or colored acrylic (Plexiglas, Lucite), polycarbonate (Lexan), ABS or other types of material specific to the project. We turn these materials into a myriad of custom products, such as displays for merchandising application; or presentation of promotional literature; or specific parts for medical, biotech, and semiconductor industries; or unique elements for interior design and architectural firms. Depending on customer's requirements we can offer different level of finishing - flaming or buffing, diamond or hand polishing. Along with custom fabrication services, we provide precision cutting, Laser engraving, CNC machining, CNC routing in 2D and 3D on a broad range of plastic materials. 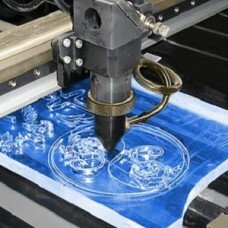 We also employ cutting-age technologies in rapid prototyping. 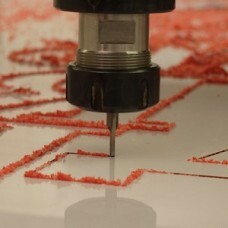 Our 3D printing capabilities enable you to see your drawings turn to reality. With our ability to print complex 3-dimensional shapes with precise measurements you can see end-results in hours. Here you can submit your project for a FREE No Obligation Quote, for CNC machining and routing. We w.. Here you can submit your project for a FREE No Obligation Quote for Custom Plastic Fabrication. We w.. 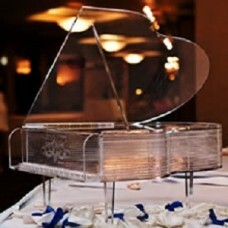 Here you can submit your project for a FREE no Obligation Quote for Laser Cutting and Engraving. We ..